Starting Kindergarten is a special time for the whole family. Please don’t hesitate to call our office for more information about this exciting time in your child’s life! We encourage families to register as early as possible to help us in our planning and to ensure you receive important information in a timely manner. Our office is open from 7:30 AM- 3:30 PM daily. Students who will reach age 5 on or before Sept. 1, 2019 are eligible to enroll in kindergarten for the 2019-20 school year. (Yes, that’s the class of 2031!) You may request early entry for your child. Click here for more information. When you register your student for school your student will be automatically assigned to the closest bus stop to your home. Click here for the 4J page “Find My Bus Stop”. lt will give you the closest stops to your address. 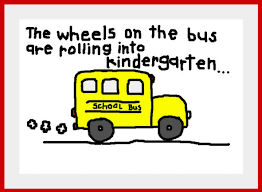 lf you do not see any stop close to your address please give transportation a call at 541-790-7474 Option 1.
lf you wish for your student to go to a Daycare or a different address other than your home (Which must be within the school boundaries) you must fill out a transportation request. All Kindergartener’s MUST be met in the afternoon (unless they have an older sibling that they may walk with). lf you cannot meet your student please call transportation with the name of the person who has permission to meet your child, otherwise we will keep them on board and return them to school. 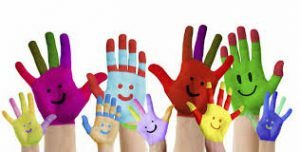 Please see our 4J Kindergarten Handbook for more information on getting your child ready for Kindergarten!